From small start-ups to Fortune 500 companies, over 500,000 businesses use the Umbraco CMS to power their websites. The reason is simple: Umbraco is the most scalable, intuitive, functional, fast, and secure CMS out there. Based on the Microsoft .NET language, Umbraco is also the natural tool for our .NET development team. And now UK clients can explore our full capabilities on a dedicated Umbraco services website. With over 10 years of experience in .NET development, our team has a deep understanding of the language behind Umbraco. That makes all the difference when creating a custom CMS or website design. By consulting users from the very start, our Umbraco developers ensure a CMS that makes your editors creative, productive, and happy. We all know that positive editors make for positive content! From initial strategy and planning through design and build, our developers take an agile, personalised approach to each project. Team specialisms include responsive web design, custom CMS development, e-commerce solutions, Umbraco Forms, Umbraco Courier, and Umbraco Headless. Whichever systems you want to use with your website, there’s a way to integrate Umbraco. Besides our developer skills, the Influential Software team is also highly skilled in integration – as shown by our MuleSoft and Dell Boomi partnerships. 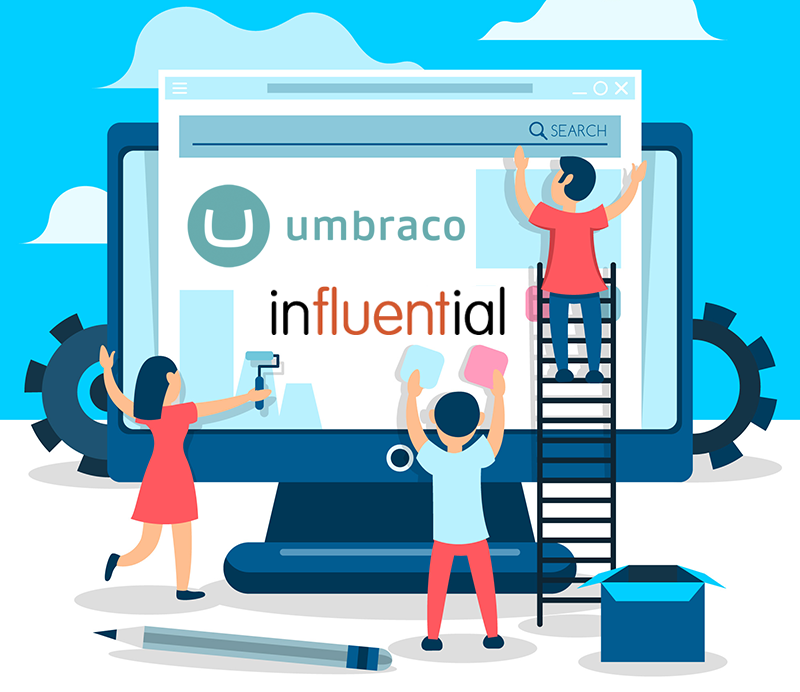 Umbraco allows us to create a seamless flow between your website and back office, marketing, payment, visual, and custom systems. Choosing Umbraco hosting by a trusted third party in the UK means lower costs and fewer risks for your business. Alongside hosting, our support and maintenance packages will cover you against any eventuality. Umbraco’s own hosting, known as Umbraco Cloud, offers exclusive features and a stable, predictable platform. Our team can accelerate your migration to Umbraco Cloud, offer integration expertise, and give custom support. Migrating to the latest version, Umbraco 7, brings a faster interface, stronger security, and simpler coding tools. And Umbraco 8 is just around the corner. Using the latest automated tools, our team avoids the time, errors, and risks of manual migration. It’s easy to migrate to Umbraco from any CMS, including Wix, Joomla, WordPress, or Drupal. We’ll make sure your content keeps its styling, layout, SEO tags, metadata, attachments, and more. When your website is your face on the world, every second of uptime matters. Our Umbraco support team will find a custom service level agreement (SLA) to suit your business. We also offer Umbraco health checks that assess the quality and performance of your site. Looking to boost your presence online? Ask our team to get started. 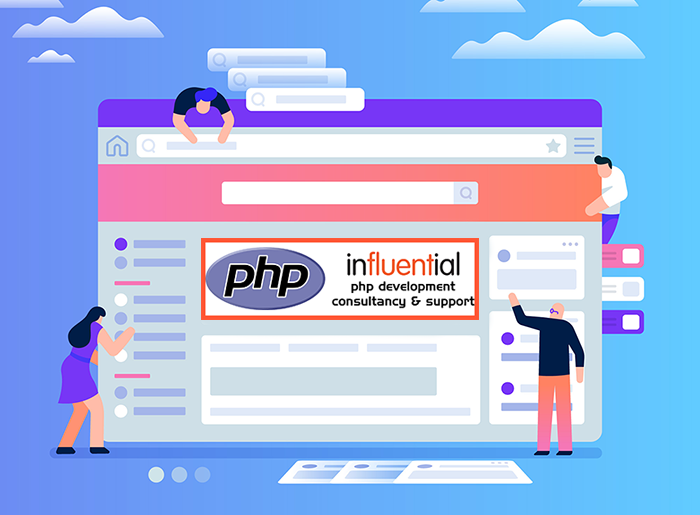 In a drive to bring this popular language to even more UK businesses, Influential Software has launched a new PHP development site. With around 80 percent of all websites built on this programming language, PHP is a highly valuable tool for our clients. Influential Software formed its PHP team over 10 years ago. Since then, clients of all sizes and sectors – from SMEs to large enterprises and public-sector organisations – have benefitted from our bespoke development. Our new PHP development website site throws a spotlight on this crucial area of web development, along with its many benefits and applications. PHP web development is behind some of the biggest sites around, including Wikipedia, Flickr, and Tumblr. Facebook started out on standard PHP before moving to a separate PHP framework for its own platform and app development needs. Mature frameworks maintained by an active community are one of the reasons for PHP’s success. These frameworks can be used to create industry-specific and general-purpose applications. Another widespread use of PHP is in Content Management Systems (CMS). WordPress, the world’s most popular CMS, is built using PHP tools. As well as PHP frameworks such as Laravel, Symfony, and Zend, our team also performs CMS integration with TYPO3, WordPress, and Drupal. Through code-level customisation of existing tools, we ensure that our bespoke CMS projects align content and presentation to your particular specifications. For cloud-based implementations, our team builds and configures the virtual servers, software, and services required to create a balanced and scalable architecture for Amazon Web Services (AWS), IBM SoftLayer, and Microsoft Azure. PHP remains one of the most powerful languages for mobile app development. This is partly thanks to its ability to embed directly into HTML, integrate with AJAX and Callback, and interface easily with Apache and MySQL. Our PHP mobile development team designs every project with state-of-the-art user interfaces, scalable systems, and capability for user impressions on the app base. Our bespoke CMS designs include the most popular platforms, such as WordPress, Joomla, and Drupal. Industries from e-commerce to financial services and non-profits have benefited from our custom CMS services. By focusing on speed and intensive data exchange capabilities, we offer real-time solutions for your content. Keen to see how our services can benefit your business? Feel free to visit our dedicated PHP development website. Part 3 of Influential’s Business Process Automation article series looks at how to streamline customer service & management. Part 2 of Automation Sensation focused on “Improving Internal Communication & Processes”, highlighting a few key areas of your internal business that can be revolutionised through automation. The case for streamlined and organised internal processes is an obvious one; better organisation leads to improved efficiency and productivity, and generally makes the day-to-day of internal business much easier. So what about customer-related processes? Automation of your customer management and services means more than just simple processes for users: It’s a reflection on your brand and can have a huge impact on customer retention. What areas of customer-facing or customer-oriented processes can be enhanced through automation? What are the potential risks of not keeping these processes up-to-speed? Let’s look first at customer-facing processes including web services/applications, mobile applications, e-commerce and user accounts. Are you delivering these services seamlessly and on-demand, or are your unautomated processes costing you business? We’re all familiar with it: the dreaded phonecall waiting list. Customers phone calls, email or web forms all wait in line for a human being to deal with them. 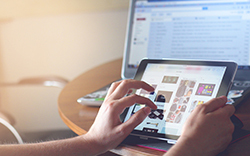 Services are only available during working hours as a business employee is required to deal with them and websites are not mobile-responsive, making them slow to load and difficult to navigate. Data has to be manually transferred between applications, or entered by hand into spreadsheets. E-Commerce orders are not acknowledged or processed until an employee attends to them, one order at a time. Slow response times mean unhappy customers at best, and at worse the loss of customers to more efficient competitors. Now imagine your customers using services either via the phone or online without having to wait for a manual response. Customers can change account details, access account information, or raise queries for information and receive a prompt, intuitive answer. Client information is stored in efficient, automatically-updated databases, and client-facing applications communicate and share data to allow for faster or self-service capabilities. E-commerce orders are acknowledged and fulfilled automatically – in some cases by drone-operated distribution centres. Most importantly, customer-facing services and applications run 24/7, are responsive and streamlined for mobile use and don’t need for a staffed team to deal with processes. According to Gartner, by 2020 customers will manage 85% of their relationship with enterprises without interacting with a human. Interactive voice response (IVR) or visual IVR streamline the customer’s interaction process, empowering customers to resolve queries unassisted in a more efficient fashion. Customers today expect mobility, flexibility and convenience. It’s never been easier to meet those demands with dedicated mobile applications for your services. APIs and algorithms can be written into your sites and apps to automatically communicate data and even to send commands to automated hardware. Now we’ll look at management of your company relationships, customer interactions and contact with potential customers for sales and more. Does your business benefit from the results your sales team achieve, or is inefficiency and poor communication dragging productivity down? Picture the scene – your sales team is out on the road, talking to customers, meeting prospects and gathering valuable data. All of it is stored in handwritten notes, laptops, mobile devices or even in your salespeople’s heads. Meanwhile customers contact you across various platforms – phone, email or social media – asking questions, raising complaints or following up orders. Information gets lost or forgotten, communication is not followed up promptly and prioritising your customers is entirely guesswork. Making sense of this data is a difficult task. Extracting data for reports is confusing and takes up valuable selling time, while management struggles to monitor or support the team. Influential’s Developers are Salesforce certified. Imagine a clear and detailed overview of your customers all in one place. Imagine an easy-to-use, customisable dashboard where you can find details of a customer’s history with your company, status on orders or any customer service issues, and more. The details your sales teams work so hard to gather are stored and accessed easily. You have insights into the sales process and can see info about prospective customers – ensuring simplicity and accuracy of forecasting as well as clear visibility of the path from enquiries to sales. Customer issues and enquiries can be logged and managed across multiple channels, from social media to email or telephone, making progress easy to track. What you’re imagining is a Customer Relationship Management (CRM) tool – a single application designed to hold all that information, often in the cloud for easier accessibility on the go. Salesforce is a great example of one such tool and has become a leading solution for CRM requirements. Next let’s look at the promotion of products or services, advertising and generating new leads for sales/clientele. Are you leveraging the tools available to maximise results and productivity or are slow manual processes preventing you from putting your best foot forward? 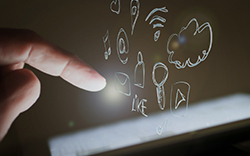 When content is created you begin the hugely time consuming process of sharing it on social media, manually signing in and posting across potential multiple channels, feeds and accounts. Updating your content online requires a good knowledge of html and CSS coding and can be a slow and painstaking task. The data for your company mailing lists is stored in manually compiled spreadsheets that must be added by hand to email contact groups for your e-marketing campaigns. Influential’s PHP development team have years of experience with WordPress and other CMS. Now imagine writing your content and uploading it in a clean and easy-to-use interface that handles all the complex coding for you. Imagine posting it and sending it out across all your social media channels with a single click. Imagine site visitors signing up to newsletters and being automatically added to mailing lists, with introductory content automatically sent to them at scheduled intervals. Content management systems (CMS) provide the easy upload, creation and management of your digital content exactly as described above. WordPress is a leading example of a CMS for website content, facilitating easy management and site structuring with minimal coding knowledge. There are also platforms that generate and manage email campaigns. Data entered into online sign-up or gated content forms can be automatically directed to your CRM via commands such as APIs, customisable in whatever code is required for your platform. The management and processing of client/ partner payments and invoices is an area of business where efficiency and reliability is critical. Many businesses are hindered by late payments or inaccurate financial information – is yours one of them? It’s still a surprisingly common scenario: Paper invoices that are passed around various internal departments for required signatures – often taking days to do the rounds with the ever-present risk of getting lost. Information about customer finances are stored in paper documents or on local computers, where information is hard to reach. How much has a client paid? What invoices have been sent and what’s their status? The information you do have is stored in yet more dreaded spreadsheets, and for customers with payment accounts you have the added minefield of data protection and security requirements. Visit our dedicated MuleSoft Microsite for more information. The alternative: Invoices scanned or generated digitally, where they can be stored in an intranet and assigned to necessary team members with clear priorities, due dates and reminders. Invoices are processed more efficiently with fewer missed payments or incorrect details, and a clear digital trail of approval enforcing accountability throughout your team. Payments are handled through third party providers, with simple programming to tie it to your applications or platforms. 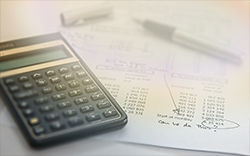 Invoice management applications can be developed to integrate with your company intranet or CRM. Alternatively there are existing tools that you can leverage for the same thing such as the invoicing applications available for Salesforce. For business accepting customer payments, (e.g. e-commerce sites) you can handle these through platforms such as Paypal. APIs can be custom-written to communicate between Paypal and your applications, meaning you don’t have to store any sensitive data and payments are swift and secure. Business process automation is about more than just making processes easier; it’s about staying ahead, or at the very least meeting the same standards as your competition. Knowing how to implement these automations could be critical to the success of your business and your brand. All you need to get started is the right expertise. Influential has all the experience and knowledge across all industries and technologies to deliver the customer services and management solutions needed to keep your business ahead. 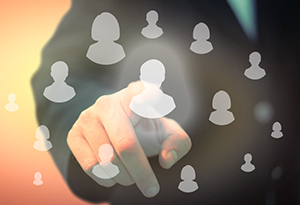 Don’t get left behind – get influential. In the next article we’ll be looking at areas of Customer Service & Management that can be automated to enhance your business. 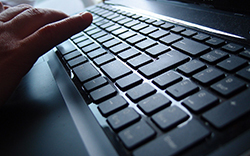 Part 1: What is Business Process Automation?